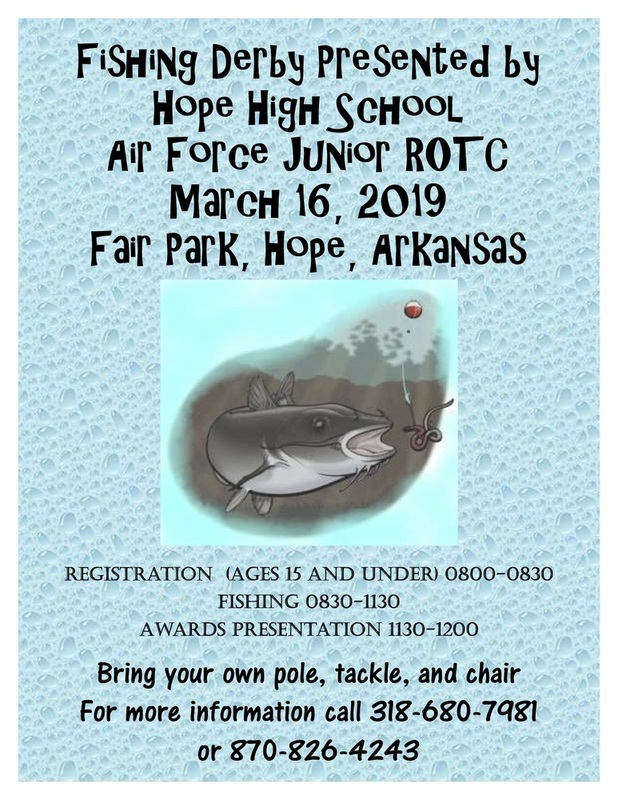 The Hope High School Air Force Junior Reserve Officer Training Corp unit will host a community fishing derby Saturday at Hope Fair Park. Registration begins at 8 a.m., and prizes will be awarded at 11:30 a.m. Contestants must furnish their own fishing pole and tackle. Call 318-680-7981 or 870-826-4243 for details.